Our dedicated team of bariatric surgeon, dietician, and nurses work with our multidisciplinary support specialists to provide effective and sustainable treatment for weight loss and metabolic problems such as diabetes and hypertension. In addition to nutritional counselling, exercise and medication, we also offer a range of interventional options to cater for patients with mild, moderate and severe morbid obesity. 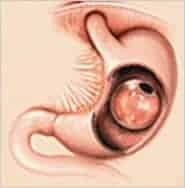 A new, non-surgical, totally reversible procedure where a silicone balloon is inserted into the stomach through the mouth in a 15 minute endoscopic procedure. The balloon induces satiety to facilitate short-term weight loss and is removed after 6 to 8 months. 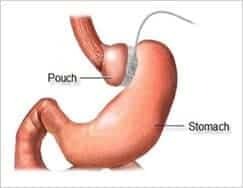 An inflatable silicone band is inserted is placed around the upper stomach using keyhole surgery to create a small pouch and narrow passage into the remainder of the stomach. This gastric restriction results in a feeling of fullness with a small meal. About 60% Excess Weight Loss can be achieved in the long term. Laparoscopic gastric stapling is performed to convert the stomach into a narrow tube. This is an adaptive procedure that restores the neuroendocrine response to food. Food limitation also helps to achieve a 70% Excess Weight Loss in the long term. Obesity is an excessive accumulation of fat that exceeds the body’s physical standards. It is chronic and progressive that can lead to other medical problems that can lead to a reduced life expectancy. …or the science of weight loss through interventional procedures, is the only medical treatment proven to achieve sustainable long term Excess Weight Loss of up to 80%. The gastrointestinal tract has a critical role in the regulation of blood sugar, fat metabolism and control of body weight. Metabolic Surgery refers to keyhole gastrointestinal procedures that can be used to cure medical problems such as diabetes, hypertension and hyperlipidemia. Our in-house dietetics and nutrition clinic provides a complete nutritional assessment and counselling for patients with weight-related problems or medical conditions requiring diet control, such as renal failure, diabetes, heart disease and cancer. 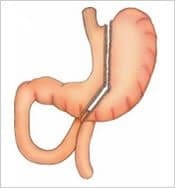 We also provide surgical nutrition support for patients with swallowing problems and short bowel, including the insertion and care of Percutaneous Endoscopic Gastrostomy (PEG) tubes, naso-gastric / naso-enteric feeding tubes and other feeding devices.